Just after Emily Wells’ headline show at The Lexington in London last night, the Brooklyn-based multi-instrumentalist has unveiled a new stream of her single Mama’s Gonna Give You Love which includes a beautiful acoustic version and a remix by Jeremiah Jae. The track is taken from her album Mama which was released earlier this year through Partisan Records. The startling contrast of the three versions of Mama’s Gonna Give You Love only emphasises what a diverse talent Emily Wells is; from the catchy original version of the song to nothing but Emily’s beautiful voice and delicate strings in the acoustic recording, all the way to unsettling, industrial drones in the Jeremiah Jae remix. As Emily Wells prepares to embark on a full UK tour which starts this week, the Brooklyn musician reveals a striking cover of Haddaway’s dancefloor classic, What Is Love. Wells will also release her forthcoming single, Mama’s Gonna Give You Love, on December 16 through Partisan Records. The single is taken from her album Mama which was released earlier this year. The mesmerising tones of Emily Wells are clear to see as she takes on this 90s dancefloor classic, completely transforming the track to make it her own. It offers a glimpse of what to expect from Emily’s enthralling live show as delicate violin strings are strewn against subtle dance-beats in a way that fall together so naturally. Best known for a combination of subtle hip-hop inflections strewn against her recognisable feline vocals, Emily Wells’ music is somehow simultaneously delicate yet deeply effective. The UK release of Mama followed Emily Wells’ contribution to the soundtrack for Park Chan-Wook’s psychological thriller, Stoker, for which she recorded track, Becomes The Colour. From the start of her career, Wells’ musical interests were simply too wide ranging for just one instrument. Trained as a classical violinist, the Texan soon created her own sonic spaceship; an ever-growing pulsating arsenal of synthesisers, effects pedals and toy instruments all tied together with live sampling and a genre-agnostic approach that is diverse, distinctive and utterly her own. Honing her sound on a series of independent releases including an acclaimed cover of The Notorious B.I.G.’s classic, Juicy, it was these initial glimpses and the countless live dates both as bandleader and solo performer that carved out the musician she has become today. 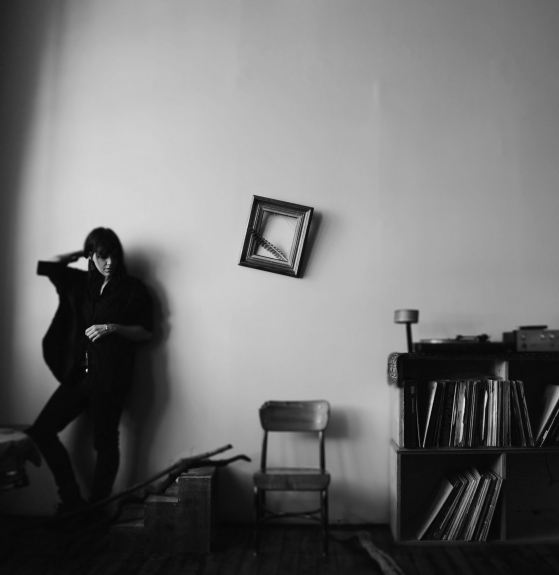 Emily Wells is an artist whose innate complexities lift her out of that particular stable and into a realm all of her own and with a live show that is diverse, distinctive and utterly her own, it’s a performance not to be missed. 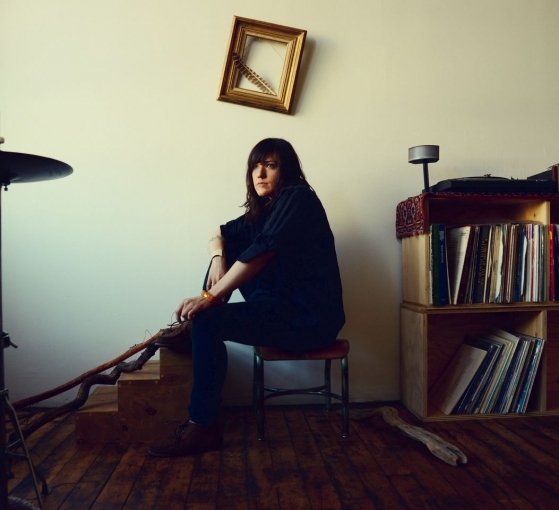 The Texan native, Emily Wells, is preparing to embark on an exclusive 10 date tour around the United Kingdom. Wells celebrates her debut UK double-album Mama which was released earlier this year. The 10 track album came complete with a separate disc of acoustic recordings of the record. Emily Wells broke into the public eye with her album The Symphony Dream Memories and Parties which included the popular Symphony 1 Barrel of a Gun. Since then she has continued to catch the attention of the music industry with her unique blend of instrumental accompaniment to her emotive slam poetry–esque lyrics. Wells looks to build on her coverage with gigs from the 7 December right through to the 17 December. Wells opens the tour with an intimate gig in Start the Bus located in the centre of Bristol. The gigs continue around the United Kingdom stopping off at Manchester, Leeds, Glasgow, Dublin, Leicester, Cardiff, Brighton, Guildford with the tour coming to an end at the Lexington located in the nation’s capital. The majority of Emily Wells’ tour dates over the years have been in the U.S however these 10 gigs in early December give Wells’ UK following the chance to catch her live. Following the release of their The High Frontier LP in the summer, Lumerians have now released the video for album highlight Smokies Tangle. The video is a short film entitled Smokie and Lady Chronus, written and directed by Geoffrey Lillemon, that chronicles a bizarre, otherworldly love affair. In their new LP, out now through Partisan, the Oakland band thrust forward with inspired exploration, Afrobeat’s ritualistic rhythms, post-punk guitar noise and cracked-glacé synth-lines culled from perverse 1970’s sci-fi soundtracks. Lumerians announced the news a little while back that they will release their new album titled The High Frontier on June 10 through Partisan Records. The name for the album comes from a term coined by Gerard K. O’Neil in his illustrated 1976 book depicting human colonisation of space. The High Frontier contains Krautrock inspired exploration, Afrobeat’s ritualistic rhythms, post-punk guitar noise and cracked-glacé synth lines culled from perverse 1970′s sci-fi soundtracks. It’s a cacophony of sound in which Lumerians acknowledge the role noise and rhythm has always played in transcendent and ecstatic rituals the world over, from the repetitious drums of tribal animists to the penetrating electronic pulses of neon dance clubs. The six tracks and 33 minutes that make up The High Frontier were recorded and produced in Lumerians’ self-built studio/brewery: a room housed in a converted store-front church in a neighbourhood affectionately referred to as the “Murder Dubbs”. The High Frontier brings back the sound of prog rock that was so familiar in the 70s. Uncut described the album as: “a fruitful collision between Boredoms, Neu! and the Grateful Dead” and they are spot on. Track one Dogon Genesis could easily fit itself into the 70s with no questions asked. Dogon Genesis is a fantastic first track that prepares the listener for the rest of the album. Dogon Genesis could refer to the Dogon tribe of Mali which gives a good indication of how bonkers the record is. Title track The High Frontier has a completely different sound to that of Dogon Genesis. It’s a slower tempo with more deep, bass tones coming through. The drum beat produces a mesmerising rhythm alongside the swooping synth sounds. Previously disclosed track, The Bloom follows the same theme as The High Frontier. It’s strange and eery. It is probably the most experimental song on the record which introduces lots of sounds and plays with the concepts of prog rock to create a brilliantly atmospheric track. The synth sounds heard at the beginning almost sound like sirens, building a sense of tension and fear into the listener. Koman Tong breaks the album away from eery and unnerving and plunges it into summer happiness. 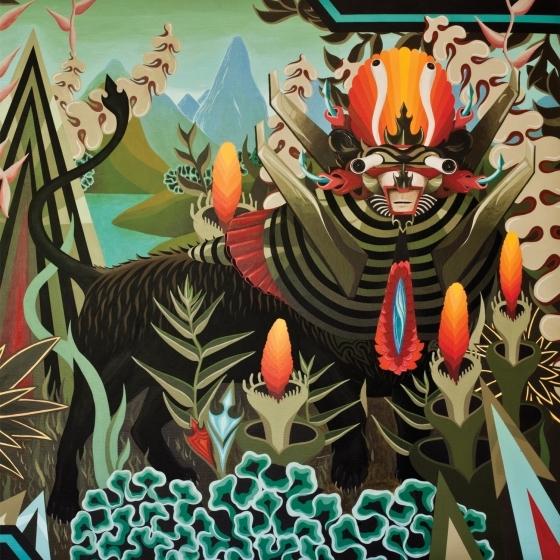 Koman Tong is still very experimental but it starts to introduce the idea of world influences into Lumerians’ music, the guitar is distorted leading it to sound faintly like a sitar in parts while gongs and bells can be heard in the background. It’s the best track on the record by far. There is just so much to catch and involve yourself in that you will instantly become lost in the music – cliched as it may sound. Smokies Tangle turns the album back to its 70s prog rock style while the last track, Life Without Skin again oozes world influences, foreign vocals and jazz inspired drum beats to create a superb end track. It has a fantastic rhythm and melody and can easily be placed as one of the best songs on The High Frontier. It’s also one of the only tracks on the album that uses influences from Lounge – think Bonobo vs prog rock and you’re almost there. The High Frontier is a mesmerising account of weirdness and oddity that will leave you wanting to hear more. Each track has so many layers to it that you really will become immersed in this record. It’s 33 minutes of experiments, fusion of genres and rule-breaking in the music world. A triumph. Field Report is the creation of Chris Porterfield who cut his musical teeth with Justin Vernon (Bon Iver) and the members of Megafaun in the now-legendary band DeYarmond Edison. Now Field Report are set to release their self-titled debut album on May 27 through Partisan Records. The self-titled album features the previous releases I Am Not Waiting Anymore and Evergreen. A new video for Evergreen was posted online yesterday with a free download of the track also available from Soundcloud. The video for Evergreen was produced by The Blind Club. Field Report’s sound is similar in style to Bon Iver yet it definitely has more traditional folk influences which can be heard throughout the record compared to Bon Iver’s indie folk approach. Field Report’s self-titled album has a good balance – a few of the tracks like Chico The American and The Year Of The Get You Alone feel more modern and experimental compared to the other ballad type songs such as I Am Not Waiting Anymore and Circle Drive. 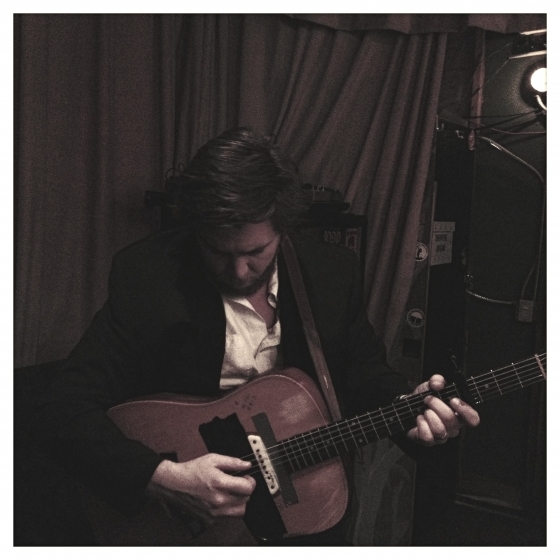 Track one Fergus Falls is very heavily folk inspired to begin with, with a lonesome guitar being picked. It has a distinct raw feel to it. Slowly and intriguingly it builds to include a light drum beat in the background. The vocals stay prominent with the guitar at the forefront but slowly strings are introduced blended very cleverly with the rest of the instruments. The lyrics are fantastic, “This is the one in which I miraculously pulled out of a free fall dive over Fergus Falls…” It’s very simple music combined with simple, relaxed vocals and wonderfully thought of lyrics. The harmonies towards the end build the song to its maximum leaving you ready to hear the rest of the album. The second track , The Year of the Get You Alone has dark, husky vocals mixed with a jazz inspired drum beat. The mix of the jazz drums and the blend of acoustic and electric guitar all create the perfect backing track to beautiful lyrics, “In the year of the get you alone I got you alone/And I showed you that I’d been drinking in a handful of words…Oh my love what have we become/Crippled by joy/And pursuit thereof/In the year of the get you alone I got you on a boat/I did all my drinking at home before we got to shore/Don’t look down now/But this waters got a sinister motive/It’s carving out my confidence/Flooding my crumbling home…” It has a very sad message about a broken relationship but lyrically, this is the strongest song on the album which tells the best narrative. This song will allow you to zone out as soon as you hear the first snare drum being hit with the brushes. Taking Alcatraz is your typical acoustic guitar picking song which can be compared to Jose Gonzalez’s style. The harmonies are blended really well together which is something that makes this track easy to listen to. Yet again, it contains brilliantly crafted lyrics and a fantastic melody in the chorus, “If I die here/At least I made a choice/If I’m fine here/ Just please tell the boys/That the line in the sand don’t matter/You don’t care…” It’s kept very simple giving it a very empty feeling with just the guitar, vocals, lightly played strings and piano in the background being heard. None of the instruments steal the limelight from the others, there’s nothing too dominant. It’s empty but in a good way. It keeps it stripped back and raw. Incommunicado has a great drum beat and descending guitar riffs. It’s the ultimate relaxation song on the album. Again, there are spot-on harmonies. The whole song builds slowly from acoustic guitar picking and peaceful lyrics “I’ve been incommunicado…” to the slight note of a bass guitar being heard in the background to the added top hat and bass drum. The electric guitar then steps in with its sequential chords all aiding to create a wonderfully relaxed, jazz inspired acoustic number. Chico The American has a heavily influenced Lounge drum beat, it could easily be something you may hear in Bonobo’s music for example. The whole style of the music is more Lounge than the previous tracks which are heavily influenced by jazz and folk. If you remove the vocals on this song, the music is intrinsically Lounge yet the vocals remain stereotypically folk. It’s by far the best track on album. There are lots of different instruments that you can tune in and out of – at one point the vocals are dominant, the next the electric guitar, then the softly played drums. It’s really good production and mixing. Field Report have released a breathtakingly brilliant debut album that tells narratives, expresses emotions and requires a little time to explore over a period of time to peel back the many laters and get to its centre. Field Report produce gorgeously crafted folk with a delicately experimental edge.